Shhh… We can’t tell you too much about our Secret Dinner’s… Only that we can plan them anywhere, anytime, with any theme….??? We provide a great ‘All Day Catering’ options for TV and film crews throughout Victoria. We understand that the demands of timelines, schedules and shooting can be complex and can be hard work around specific meal times. That’s why the service we offer is different! Our place or a location of your choice.. 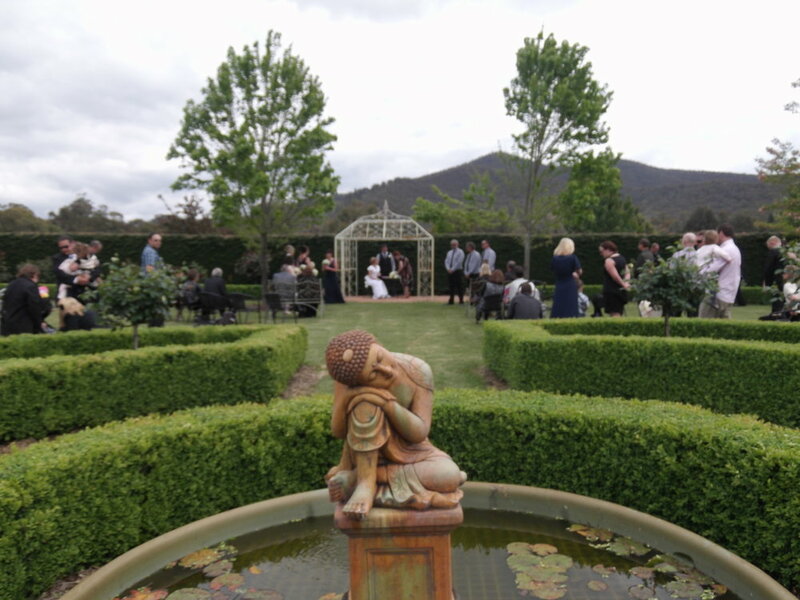 Since 2004 we have been crafting unique individualized events for Mansfield Shire and beyond. Our home base at The Sticks in Goughs Bay has settled into a wonderful space for a dinner with friends, a birthday or a product launch. We have catered for all kinds of fun filled events over the years. Everything from our famous 'Secret Dinner's' to large scale motor bike rallies, club events or corporate fundraisers. Amongst The Sticks party-catering services include assistance in all aspects of your event. Allow us to coordinate any additional items and services you may need, such as tableware, linens and décor, specialty foods (vegan, gluten free), beverage orders, entertainment and detailed consulting for seamless planning and execution. ‘Making your day truly memorable, with catering solutions designed to suit your individual needs, and helpful friendly wedding planning to make your day everything you dream it would be’. Amongst The Sticks can cater for anything from a sumptuous dinner party to elegant canapés and fabulous finger food. You can be guaranteed that your guests will all be talking about the delicious food and no one will go home hungry! Although we can provide a large variety of menus from years of catering experience we prefer not to here. We write every menu with you to suit your venue, occasion, budget, season and style. Amongst The Sticks provides catering services at any location, in your home, marquee, barn, or by the river or lake, we’ll be there! Perhaps you are unsure of the venue. We can help with our planning services in-line with your budget, number of attendees and entertainment preferences. In fact, our party catering services encompass much more than food. Of course, that is important but by using Amongst The Sticks we can orchestrate everything from décor to desserts. Our party planning is part of the offering. Hassle Free, Just Great Food and Friendly Service. Reserve Your Next Event with us. Contact us today and start planning your next family function, wedding, or event with us!